From its days focused on moving drivers from point A to point B, routing has evolved into a sophisticated fleet function that touches every aspect of the operation from safety to customer service to the bottom line. Subject matter experts recently weighed in on how routing has changed, the challenges still being faced today, and what the future may hold. There have been a number of advances in the use of routing from the days of “dots-on-the-map” technology in which a system could show a fleet manager or dispatcher where a vehicle was headed and that it had arrived, but it couldn’t tell if the driver was driving safely and was doing the work he or she was assigned to do. With advances in technology, routing has become more three dimensional and dynamic. Takes into account variables such as real-time traffic conditions. Adapted to changes in schedules. Integrates with other company systems and datasets. This means that routing isn’t just limited to point A to point B decisions, but to the whole gamut of variables that may influence routing. “Through the use of routing technology, companies and fleets can now see where there are school zones, road construction, and traffic delays along planned routes and then adjust for quicker navigation and reduced travel time,” added Sutherland. Optimization has probably been responsible for the biggest advances in routing, among them eliminating the need for specialized routing personnel and hours of computer time to “crunch” the numbers and develop routes for the fleet’s drivers. There have been positive consequences of optimization for fleet operations. “The advancement in route optimization — where a solution loads and distributes routes and stops based on achieving the minimum miles driven — can drastically reduce fuel use, vehicle wear and tear and exposure risk, which has an impact on violations, accidents, and insurance premiums,” said Thomas Erdman, president of the Fleet Division for Azuga. 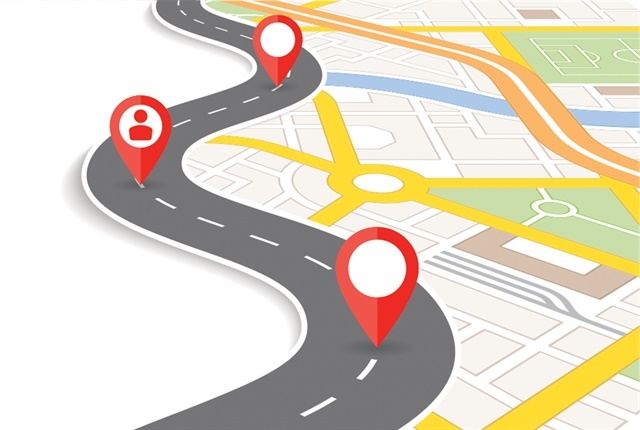 The integration and correlation of routing data with other fleet data has also been a significant advance, taking routing far beyond its dots-on-a-map days. Fueling the optimization of routing has been the ubiquity of smartphones among most if not all of today’s fleet drivers. “One of the biggest advances in routing is the advent of the iPhone and Android. Today they’re ubiquitous. We’ve done some good work helping every driver leverage their smartphone to route themselves to their next job in the most traffic-free manner possible,” said Rob Donat, founder and CEO of GPS Insight. The smartphone has been revolutionary for routing and operations in general, explained Kelly Frey, VP of Product Marketing, Telogis. Perhaps going hand-in-glove with the ubiquity of the smartphone is that today’s dynamic solutions are available to most fleets. “These solutions are now available to fleets of all sizes at an affordable price, which is just as important as the technology itself,” said Azuga’s Erdman. Dynamic routing allows fleets to meet a challenging day head on. Donat of GPS Insight refers to this type of routing as Level 4, which he said is the ultimate goal for routing. Level 1 is traditional point A to point B routing, Level 2 routing orders jobs correctly while getting the vehicle to its destination. Level 3 is multiple vehicle optimization (numbering in the hundreds or thousands) with optimal results. But it is with Level 4 routing (each level building on the previous level) where dynamic routing really comes into play. Dynamic routing is, ultimately, a reflection of the realities of today’s world. Dynamic route optimization is just one of the many things being optimized in today’s complex operations. “Increasingly it’s not just about the route optimization, it’s about the schedule optimization, territory optimization, etc.,” said Frey of Telogis. Dynamic, optimized routing benefitted fleets and the companies they serve in a number of ways, not least of which is becoming more efficient and safer. Echoing Frey’s point, Donat of GPS Insight noted that efficient routing is fundamentally really about having drivers spending less time on the road. It’s the telematics aspects of routing that are helping to make driving safer while getting the vehicle and driver routed correctly and efficiently. “Tools such as harsh driving alerts, speed monitoring and notifications around late starts and departures help ensure the driver gets there on time by driving safely, while ensuring dispatch can make adjustments once the schedule is in jeopardy,” said Todd Ewing of Fleetmatics. Sutherland of Geotab credits improved safety as one of the biggest benefit of advances in routing technology. Erdman of Azuga also credits the tracking ability of routing technology with improving safety and efficiency. Sutherland added that some of the other ways that advances in routing technology have improved productivity; many going to the heart of efficiency programs that have become commonplace — but couldn’t exist without the technology. Optimizing fleet size is another efficiency benefit derived from advanced routing technology. There is one unexpected benefit from advanced routing cited by several of the experts: happier drivers. “If you’re able to prescribe to a driver where they need to go to get their work done in the safest and most effective manner — you’ll get a happier employee, and better morale for the organization,” said Kavanagh. Routing has also helped make happier customers, particularly for service-oriented companies that rely on making and keeping appointments, even when an appointment has to be cancelled. Thanks to dynamic routing, increasingly customers can be contacted prior to the appointment being missed. “Customers respond much better to a phone call early in the day cancelling an appointment, than if the technician just doesn’t show up,” said Weir-Jones of CalAmp. Frey noted that one of the benefits of dynamic routing is the ability of tightening up service windows. This benefit is evident in the trend with numerous service companies that are able to provide one-hour windows of service as opposed to the more traditional and — for the customer — less-than-optimal half-day or all-day service windows. In addition, there has been a democratization of planning, said Frey, giving the power to schedule to the customer. Even with the advances of optimized, dynamic routing, challenges remain, and one of those is the driver. Systems’ integration is one of the big challenges that also needs to be solved. The systems themselves also need to be flexible. “Software systems must then balance how configurable they are versus how easy they are to use and understand for planners and dispatchers,” said Ewing of Fleetmatics. Reflecting the automotive industry as a whole, the autonomous vehicle figures heavily in the predictions of what routing will look like in the future. In the near term, Weir-Jones of CalAmp sees advantages being presented by integrating routing with optimizing energy use, particularly in the context of electric vehicles. Editor's note: This article first appeared in the October 2016 issue of Automotive Fleet.